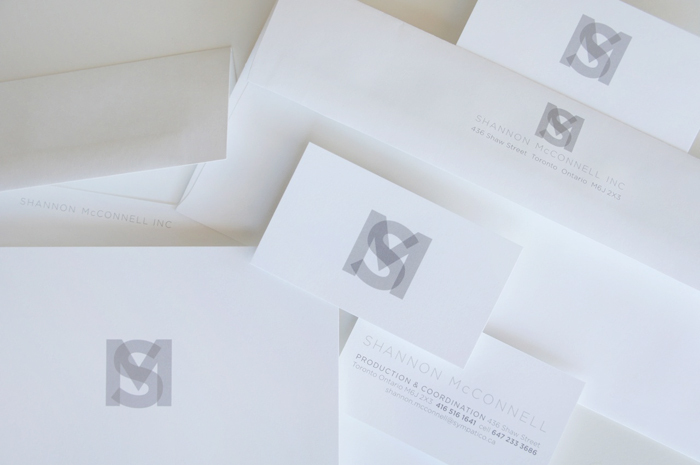 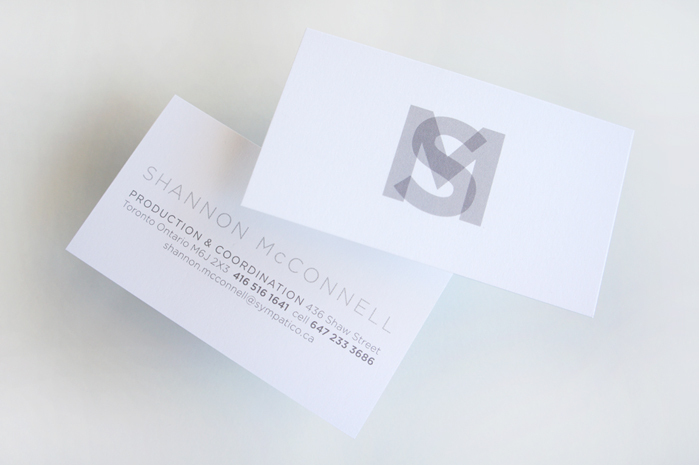 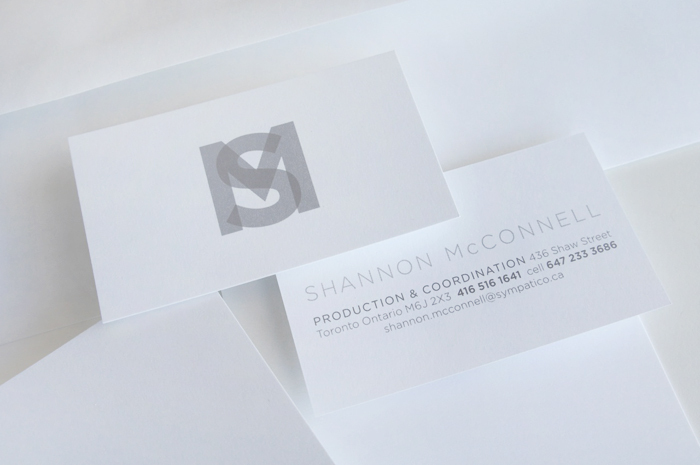 DNA Design » Shannon McConnell Inc.
DNA took inspiration from the client’s profession to create a simple solution for this busy production coordinator’s identity. 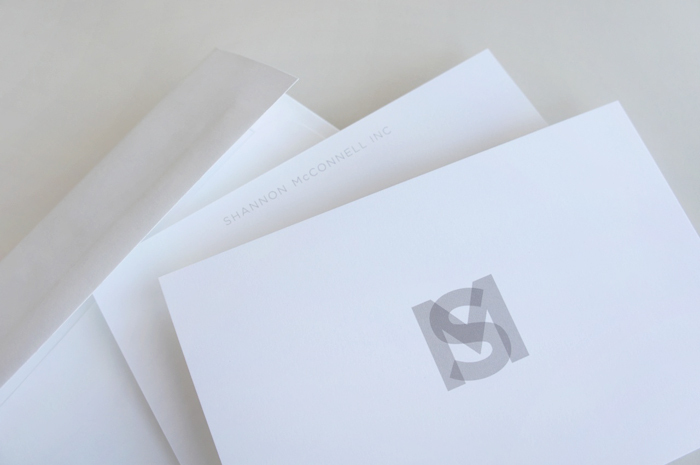 The design features a layered, tone-on-tone logo, reflecting the client’s numerous overlapping responsibilities: professionally personal. 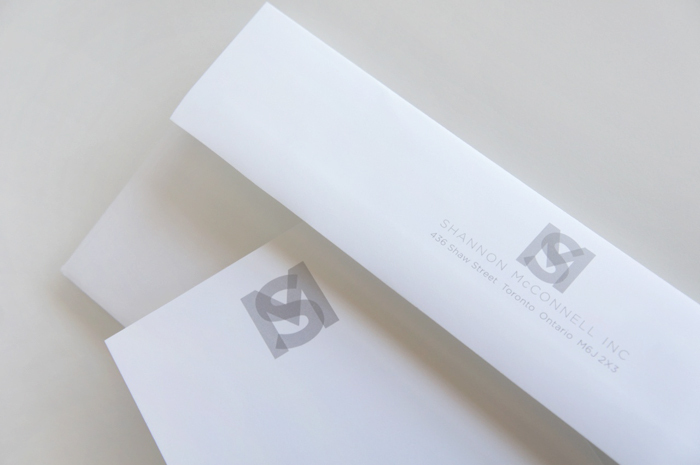 Digital elements were supplied for internal promotion and correspondence.